What Is A Monk Fruit? Monk fruit is a small subtropical melon that naturally grows in Southeast Asia. The fruit was given its name because of the Buddhist Monks who first used the fruit. The juices of the monk fruit are known to be much sweeter than other natural juices and even sugar. In addition to an extra sweet taste, the monk fruit juices have low calories and low carbohydrates, which makes this sweetener an excellent accessory to many of the hot diets of the day including the ketogenic diet. Many of the most popular diets in 2019 don’t prohibit eating, just eating certain types of foods with high carbs. Monk Fruit Sweetener is a sweetener derived from the juices of the monk fruit to be used as a substitute for sugar. Monk Fruit Sweetener is not quite the texture of sugar nor does it have the taste of sugar. The sweetener has much smaller crystals than normal sugar and has a slightly fruity taste. The fruit taste does not transfer so much when added as an ingredient. Most importantly monk fruit sweeteners have no glycemic properties which are great for type 2 diabetics. This type of sweetener will not raise the blood sugar level and has even been known to lower blood sugar levels. People with type 1 diabetes should be wary of alternative sweeteners. Anyone looking to make drastic changes to their diet should always consult a physician first. 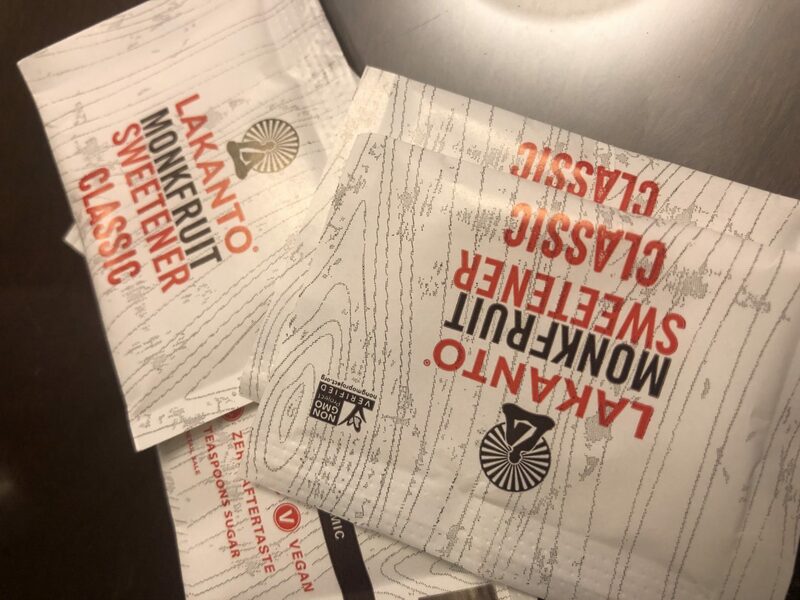 For most people, Monk Fruit sweeteners are a viable alternative to sugar. While it may seem to be much more expensive, the sweeteners are much sweeter than sugar. If you are a person who struggles to keep your insulin levels down or is at high risk for cardiovascular disease or dementia monk fruit could help lower your risk. I have never heard of Monk Fruit but it has to better than the “Devil’s White Sugar”. I will try to find as we don’t eat sugar only honey. Monk Fruit sweeteners are hard to find as many brick and mortar stores do not stock them. They are readily available online. You can click on the links above to find a vast variety.